Upon arriving at the Courtyard Marriott hotel on my recent trip to Toronto, I bypassed the regular line and wandered right up to the “Elite Guest Check-in” desk. “Checking in for Wesson,” I said, handing my credit card to the front-desk clerk. The front-desk clerk continued. “Excellent. We have your Platinum number on file. As your arrival gift, would you like the bonus points, or would you prefer to get something from our Market,” the clerk asked, motioning towards the small shop for snacks and drinks. "I live somewhere else, in the margins of my itineraries. I call it Airworld; the scene, the place, the style. My hometown papers are USA Today and the Wall Street Journal. The big-screen Panasonics in the club rooms broadcast all the news I need, with an emphasis on the markets and the weather. Airworld is a nation within a nation, with its own language, architecture, mood, and even its own currency - the token economy of airline bonus miles that I've come to value more than dollars." I went this past weekend to see the new movie Up In the Air, based upon a book which I had previously read by Walter Kirn. In the movie, George Clooney plays Ryan Bingham, a corporate down-sizing consultant who spends much of his life travelling for work. Though Bingham has an apartment in Omaha, he feels more at home in “Airworld” – literally “up in the air” on the airplanes and on the ground in the airports, hotel suites and rental cars that make up his travelling life. Bingham has a goal, one he is slightly embarrassed to admit at times. It is to join the elite group of American Airlines customers who have amassed 10 million air miles. Every so often a piece of creative work comes along that seems to capture significant elements of my life, the kind of thing that makes me sit back and wonder how the creator knew so well what I was thinking. In my early 20s, it was the book Shampoo Planet by Douglas Coupland, where the protagonist Tyler so embodied the way I felt about the world, I thought about changing my name to Tylerwtravels. Then, once I started working as a software engineer in Ottawa, Dilbert came along and captured the surreal world of the modern software sweatshop. After moving from technical side of computer programming more into the business side of solution design, Mike Judge created Office Space, capturing perfectly the inanities of the modern office. I tend not too talk too much about my job here in the blog. Partially this is to protect my clients, and by extension my job, by not revealing too much about what I do, but I have also not written much about travelling for business. There have been a few mentions here and there, – most notably in my early blog entry on travelling as a consultant. I haven’t really written about some of the most important parts of business travel though, and that is the collection of miles and points and gaining elite status. I think I have shied away from talking about this out both a fear of embarrassment as well as concern about coming off as a complete braggart or arrogant git. Now that Gorgeous George has made it all right, I can come out of the closet. I am Gregwtravels and I am an airline-and-hotel-point-aholic. In the movie “Up In The Air,” George Clooney plays Ryan Bingham, travelling consultant and card-carrying member of the loyalty programs for American Airlines, Hilton Hotels and Hertz Car Rental. Bingham is an elite member of the programs, allowed to skip the regular queues and get upgrades to business class seats. Like Bingham, I travel regularly for business and also am a member of a number of loyalty programs. I am a member of a number of airline programs. My primary program in North America was Air Canada’s Aeroplan program, where I collected air miles for my flights from my home base in Toronto. As a secondary program, I collected points with Continental’s OnePass program. I also have a miles account with American Airlines AAdvantage program, though since moving to England have decided to drop American Airlines and collect points on a British Airways Executive Club account instead. I had these three accounts to cover each of the main airline alliances. There are three main airline alliances in the world – Star Alliance, Oneworld and Skyteam. Air Canada is a member of Star Alliance, along with other airlines like United, US Airways, Lufthansa and ANA. No matter if I am flying with Air Canada, United or Lufthansa, I can present my Air Canada Aeroplan card to collect air miles into my account. A few years ago, I had three airline programs that covered the three alliances – Air Canada for Star Alliance, Continental for Skyteam and American for Oneworld. Changes within the alliances recently mean that I now have two Star Alliance accounts (Air Canada and Continental), two Oneworld accounts (BA and AA), and no Skyteam airlines. No matter, though. If I fly a Skyteam airline in the next little while, it is no problem to open an account. Unlike Clooney’s character in the movie, I’m not a top tier flyer in any of my airline programs, and never have been. I’ve flown a lot, but I am a long way from coming anywhere close to having collected 10 million miles. 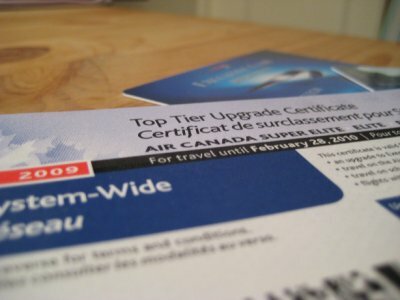 Air Canada Aeroplan’s top tier is Super Elite, which requires collection 100,000 miles or 95 flights in a single year. The closest I ever came to that was when I was working in Denver in 2000. I amassed over 60,000 miles that year. Most years when I lived back in North America I would collect between 40,000 and 50,000 miles, which was enough to get the next highest level – Aeroplan Elite. In the past 10 years, I have made Elite status 7 times, got Prestige (the status one down from Elite) 2 years and wound up this year with no status at all – a lowly regular, back of the plane flier. While I wasn’t a top tier flier, Aeroplan Elite provided benefits. Most obviously is that all those points can be used to book free flights. I have flown to South America, Japan, Europe and Africa all for free. Elite status also provides you with the ability to use the airline lounges at the airport, where you can get free food and drink, free wifi and a comfortable and quiet place to relax before your flight. My Air Canada Aeroplan Elite status was honoured by any airline in the Star Alliance, allowing me to use the ANA lounge in Tokyo, the SAS lounge at Heathrow and United Red Carpet Clubs across the USA. Elite members can board earlier than the regular flying public, which comes in handy on early morning flights full of business travellers all trying to store a roller bag and laptop in the limited amount of overhead bin space. Often people who don’t travel wonder why business travellers are so against checking bags. As George Clooney’s character explains in the movie, it’s a matter of time. Imagine that you fly two flights a week, 40 weeks a year, which is about what I used to do. Say checking a bag takes 10 minutes before your flight, and you wait 20 minutes after landing to pick up your bag. That’s 30 minutes a flight by two flights a week by forty weeks a year. That works out to 2400 minutes, or 40 hours of extra time. I’ve got better things to do with almost two days worth of time every year. Finally, elite status also gets upgrades. Since I started travelling for business in 1997, every year air travel has gotten more and more complex, crowded and annoying. The only thing that keeps getting better every year seems to be the offerings for business class. When I first started flying, business class meant a bigger seat, a glass of champagne and a place to hang your coat. 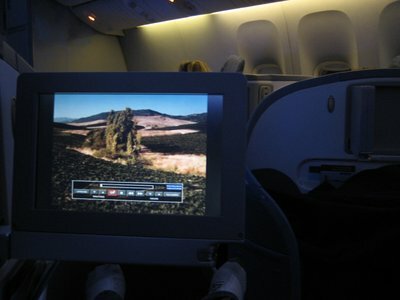 Now most airlines have lie flat pods with individual entertainment systems as their business class offering. I may have never been a top tier flier, but I did better by the hotel programs. I once read that there are two types of business travellers, broken broadly into the categories of “sales” and “consulting.” Folks who travel for sales do a lot of short trips. They often fly out to a location, have a few intense meetings, and then fly home the same night. Sales people are on a plane most days. Consultants, on the other hand, tend to fly out on a Monday and back on a Thursday night, going to the same place for weeks on end. They don’t fly as much, but do spend a lot more nights in hotels. 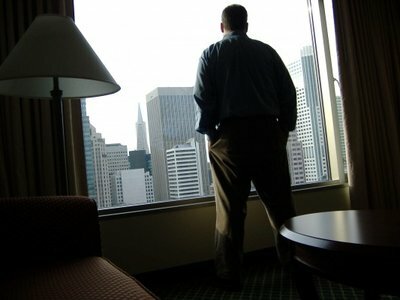 Sales folks easily make the top elite status on airlines, but struggle to get to the top tier of their hotel programs. Consultants easily get top tier in their hotel programs, but often struggle to make top status on the airlines. 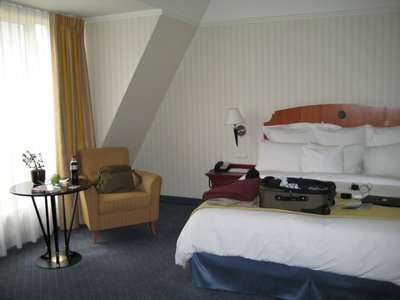 I was a consultant, so hotel programs were where I often hit the top tier of status. 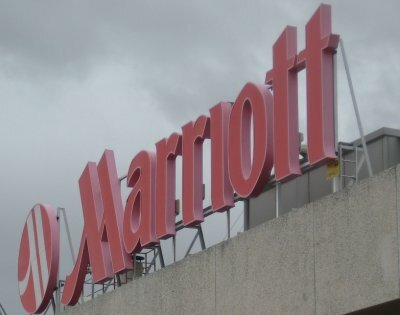 I am primarily a member of the Marriott Rewards program, but also have loyalty accounts with Hilton, Starwood (Westin and Sheraton), Accor and ICI (Holiday Inns and Intercontinental hotels). Every dollar spent at a hotel earns points. Like with the airlines, points can be redeemed for free nights. The amount you stay also entitles you to elite status levels. Marriott Rewards Platinum, which I am, entitles me to free upgrades, priority check-in and access to the concierge lounge for free breakfast and evening snacks. Like Ryan Bingham in the movie, I have a secret goal as well. That goal is lifetime Gold status at Marriott hotels. Marriott has an unpublished but widely known (for those who are frequent guests) lifetime status program. For customers who have been members of the program for 12 years and have achieved a status level in the program, you can get a free, lifetime status level of Silver, Gold or Platinum. 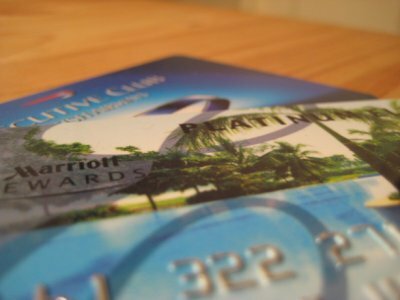 To become a lifetime Gold member, you need to have been a member of the program for 12 years, spent 800 nights in Marriott hotels and amassed 1,600,000 Marriott Reward points. As of writing this, I have been a member of Marriott Rewards for 9 years, 6 months and 26 days. I have spent 753 paid nights in Marriott hotels and collected 1,566,460 points, leaving me to get 47 nights and 33,540 points to achieve that Gold status. Like Ryan Bingham in the film, I must admit that I am a little embarrassed to admit this as one of my goals. Crossing that “1.6 million points and 800 nights” barrier is just passing an artificial finish line. In fact, it probably isn’t really a “finish” line at all, as I doubt upon reaching the goal I’ll just stop travelling. Also, someone recently pointed out on an internet forum I read that getting lifetime Gold status means that I spent two years and seventy nights in Marriott hotels. Despite those good reasons not to care, I do. I’d like to achieve that goal. Perhaps it is just a silly boy project, but to me it is like getting a medal for endurance. In addition to airline and hotel programs, the third key program in the stable of the business traveller’s frequent flyer accounts would be with car rental companies. While the car rental companies don’t offer the same type of earning and redemption potential as airlines and hotels, the benefits of being part of the program are clear when getting a car. Going to the car rental desk and renting a car requires an agent to see your license and credit card and then typing for a seemingly endless time on a computer terminal before you get your car. By joining a “frequent renters” program, you can just walk up, take your car and drive away with just a flash of your license. That can save you up to 30 minutes on a Monday morning after landing at a new airport. Those really dedicated to earning points and status can find a whole lot of other opportunities to gain as well. There are credit cards that give air miles with each purchase, access cards for airline lounges, mortgages that earn air miles with each payment, and even other products that gain points. One extreme example of earning air miles without ever stepping foot on a plane was when a man purchased a few thousand dollars worth of pudding and in exchange got 31 round trips to Europe. In 1999, a pudding company was having a promotion that allowed you to collect American Airlines AAdvantage miles for every UPC from their products that you mailed in. Civil Engineer David Phillips was walking through the grocery store when he spotted the offer. He did some quick math (as engineers are wont to do), and figured out that the air miles on offer were worth much more than the cost of the pudding. He wound up buying $3,140 of pudding, and in return he received 1,253,000 air miles. Those who are knowledgeable about such things value an American Airlines AAdvantage mile at being worth about $0.01, meaning that Mr. Phillips could exchange his air miles for approximately $12,530 worth of air fare. Mr. Phillips couldn’t eat all 12,150 cups of pudding himself, so he donated the pudding to the Salvation Army, for which he received their help in removing and mailing in the UPC codes. In addition to the air miles, the donation of the pudding got Mr. Phillips an $815 charitable tax write off. Sometimes when I talk to non-travelling friends about my hotel and airline programs, they say it all seems too confusing. “How did you learn all this?” they ask. Partially it was from coworkers when I first started travelling. 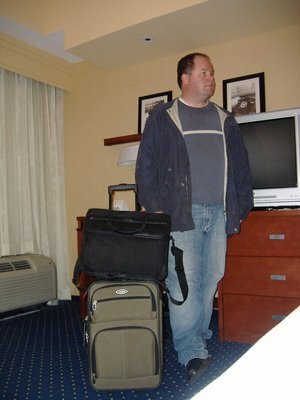 Much as Ryan Bingham teaches his young coworker Natalie Keener (played by vampire-bait Anna Kendrick in the film) about packing a bag, moving through airport security and joining the airline and hotel programs, more experienced travellers did the same for me when I first started hitting the road. The other place I learned, and continue to learn about maximising my frequent flier experience, was from the internet forum Flyertalk. Flyertalk is an online community of frequent travellers who want to make the most out of their membership in frequent flier and frequent guest programs, and also those that collect points through other means like credit cards or promotions. Why do this, you may ask. Why go to all this trouble to earn status just to make you more comfortable while on the road? Why not just get a regular job that keeps you on the ground and at home, where you can be comfortable all the time? The answer, of course, is deeper than just airline points, and is of course the real thrust of the movie and the book. What sort of person chooses this lifestyle? What do I get from being a constant traveller? What is the emotional impact, both good and bad, of living the life of a road warrior? When you grow older a dreadful, horrible sensation will come over you. It's called loneliness, and you think you know what it is now, but you don't… Don't worry - loneliness is the most universal sensation on the planet. Just remember one fact - loneliness will pass. You will survive and you will be a better human for it. Like Up In The Air's Ryan Bingham, I have spent much of the last eleven years travelling for business. And like Bingham, I too have joined a number of loyalty programs with airlines, hotels and car rental companies to earn rewards and maximise my comfort on the road. A few people have over the years have said that my life on the road must be lonely. I have never found it so. It is a life that favours a breadth of relationships over relationships of incredible depth. Across my years of consulting I have met a lot of people, worked and lived in close quarters with them, and then moved on. Some of these people I have kept in contact with, some I have lost complete touch with, others are those quasi-friends that we all have nowadays – names in my list of Facebook friends and Linkedin contacts who you never hear from. Most of the people I am still in contact with are other consultants. Some I communicate with (mostly via email) on a regular basis, some I only speak with once in a blue moon. Yet I would still consider them all friends. How can I consider someone I speak with once every six months a friend, you might ask? It is because we have lived the same life, so we understand the long silences between our chats. The project experience is enveloping. Consulting projects are short periods of intense work. As most of the consultants are “on the road,” you spend both your time at work and your time after work together. The “work-hard, play-hard” mentality abounds. The intensity of the experience bonds those who went through it together. Once we have gone our separate ways, that bond still exists. Even if we haven’t talked to each other in six months, when we speak again we are fast friends, for we both have lived the life of a road warrior, and know that just because we haven’t been in touch doesn’t mean we don’t care. It just means that we’ve been away, on the road and knuckling down somewhere far away. I’m very comfortable with this style of friendship. I am an outgoing person, and enjoy the constant opportunities to meet new people. That being said, it certainly isn’t a life for everyone. I have had a few friends slip by the way-side, especially those who don’t travel and thus don’t understand why I haven’t been in touch in months. Romantic relationships are often very hard to maintain when one partner is on the road as well. This is the core conflict of the film. I took creative writing in high school, so I know that you can’t have a story without some sort of conflict. Bingham starts the film happy with his solo life on the road. He talks about attachments – both the physical things we all have like houses, cars, furniture and the emotional links of relationships – as being items that you carry that weigh you down. For Bingham, discarding these things leads to a life of freedom. In Bingham’s motivational speaker parlance, his is an empty backpack. As the film progresses, Ryan Bingham faces a choice, between maintaining his lone wolf lifestyle of being on the road or developing deeper relationships with the people in his life. Bingham is faced to look into his empty backpack and question whether discarding all the relationships in his life have at the same time hollowed him out and left him an empty man. I’ve had moments like that as well, times when I have questioned if my life on the road has left me with a theme park kind of life – a lot of exciting experiences but ultimately lacking in any depth. For me, though, these moments of doubt have always past quickly. A few weeks at home, and I would find myself longing to get out of town and away to some new place again. I’d land in some new place, settle into a hotel room for the night, feel the beautiful lack of domestic responsibility, and it would feel like home. Things have changed somewhat since moving to London and becoming an expat. However, I am not far from my old life on the road. I work for a global consulting company, and we have clients all over the world. Last year I spent 6 months working at clients outside of London, though I travelled by train rather than plane to get to them, more Trackworld than Airworld. My current project has kept me in London for the last 6 months, but the London based project will eventually end and my next project could be in Santiago, Stuttgart or Singapore. In a few months time, I could be taking to the road once more. Perhaps I will come eventually to want to give up this life of the business nomad forever, but for now I am still excited by the opportunity to get back on the road. After all, I still have to get those outstanding 47 nights at the Marriott to earn my lifetime status. 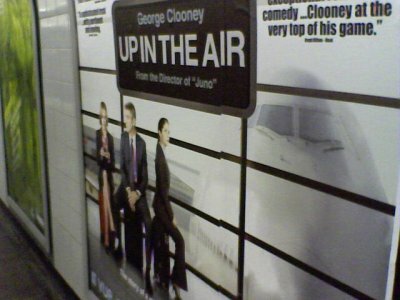 Great blog.. And I absolutely loved the movie Up in the Air! Greg - So fascinating! Thanks for the great information. But I have to wonder... as a traveller who enjoys staying in cozy mom and pop Bed and Breakfasts and Inns, do you ever feel you miss out on the local flavor by staying in international chain hotels? Whenever I travel I try to make my experience just as authentic as the locals experience, thus I have been reluctant to join any hotel reward programs. What do you think? Interesting question, Jen. I think it depends on your point of view on what you want from a hotel when travelling. For me, I don't really consider the hotel a big part of the experience of my travels. The hotel room exists solely as a place to sleep, shower, keep my stuff and occasionally crash out and veg when I'm tired from spending the day site-seeing. The key experiences for me are what happens outside of the hotel, not what happens while I am in the hotel. Obviously there are some exceptions. In planning a trip to Morocco, I of course booked a riad, and in Japan I stayed in a capsule hotel and a ryokan for the experience. And if I am going to a beach vacation, a place with a bar overlooking the beach wins out every time. But, especially in any sort of Western city, I don't think the experience one gets staying in an international chain is any less authentic than staying in an independent hotel. My bias on the "authentic travels" is also probably showing through. I am dubious of any claims that one type of travel is more authentic than another. Finally, I also have very different needs when travelling for business than when travelling for pleasure. I am much less stringent about staying at Marriott hotels when travelling for pleasure than when travelling for business. If you are on the road 40 weeks a year, then consolidating your business with one chain to get benefits makes sense. If you spend 3 or 4 weeks away, then looking for the best experience and value makes a lot more sense. We have a blog about travel, and we would like to invite you to visit us and you can find to translate on the right side of the page. Thank you very much, and we hope you enjoy. Thanks to share your traveling experience. I like the way you sub-titled your days at marriott hotel. I must say that the hotels in India also offers homely feel to their guest. Loved this blog. In the last 10 days, I have been in Saint Augustine, San Antonio and Galveston. I've had Up In the Air in my suitcase, nicely protected in its little NetFlix sleeping bag. I'm home right now, and plan on watching it tonight...instead of doing my laundry! Thanks for the nicely executed essay...and confessional! I loved your writing,a different take to the usual descriptions of 'awsome' scenery or 'cool' people Bloggers have met at the Backpackers hostel. Getting your Elite status is no stranger a quest than windsurfing across the Atlantic or swimming across Sydney harbour. 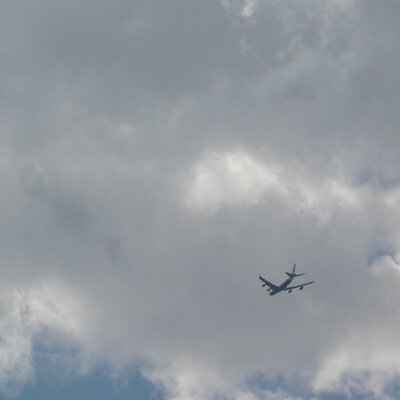 Don't be embarrassed about that, but have you thought about the effect all this flying around the World has on the Atmosphere of the Planet and eventually you, me and especially the poor people who cannot afford to stay in a Marriott hotel even for one night? I'm not trying to be rude to you personally, it is probably a result of the corporate system which is using the ease of air travel to fly in their employees from all over the World. Surely the time has come for less Environmentally damaging ways of working, using IT to communicate, the very field in which you work. You could stay in the comfort of your own bed at night and who knows, there might be somebody else in bed with you. Thanks for the comment, takinitezy. I have thought about the impact of my flying - in fact if you look back your find a blog entry I did on it called "My Left Carbon Foot(print)" (or something along those lines). Now that I am in Europe, I actually am flying a lot less. Last year I flew 15,000 miles, all of it personal trips back and forth between Canada (my original home) and the UK. This year, I've only flown 3000 miles so far this year. So my carbon footprint has shrunk significantly.